Of 15 years of conflict and instability has inevitably led to widespread poverty and large numbers of refugees and displaced people. Almost half of the population survives on less than $1 a day and food shortages contribute to high rates of malnutrition, especially among children. Only 2 % of Somalia’s land is suitable for arable farming and regular droughts cause regular water crises. Drought over a four year period has caused an already impoverished country into further difficulty as very few people have access to safe drinking water or proper sanitation. Illiteracy and infant mortality rates have increased in Somalia. Islamic Relief has been working in Somalia since 1996. 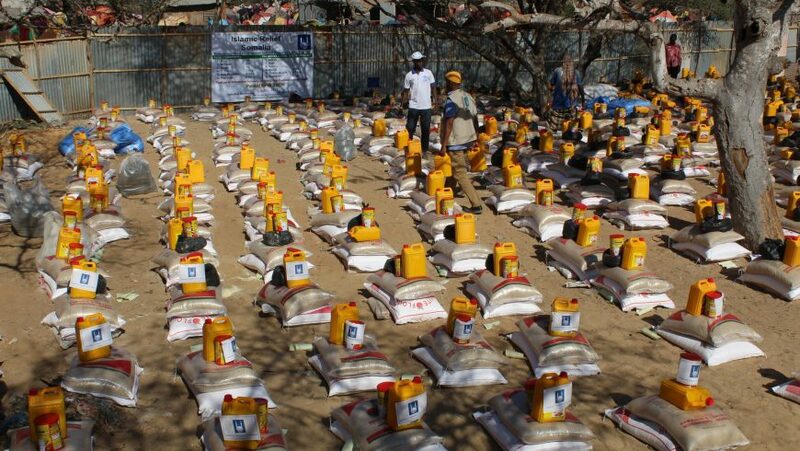 Food distributions have been taking place since we began working in Somalia and over 750,000 people have benefited from these food distributions so far. We are also working to provide clean, easily accessible water, access to healhcare services as well as education. 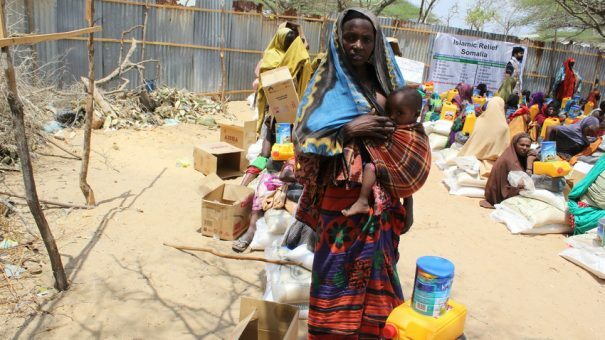 Emergency programmes have also helped displaced people in the Bari, Nugaal and Mudug regions of the Puntland. Following the extreme drought in 2011, Islamic Relief implemented a £22 million emergency relief programme to reach 1 million people with food assistance and 400,000 people with clean drinking water, across the region. Additionally, over 10 tonnes of medication was distributed to various hospitals and health centres.